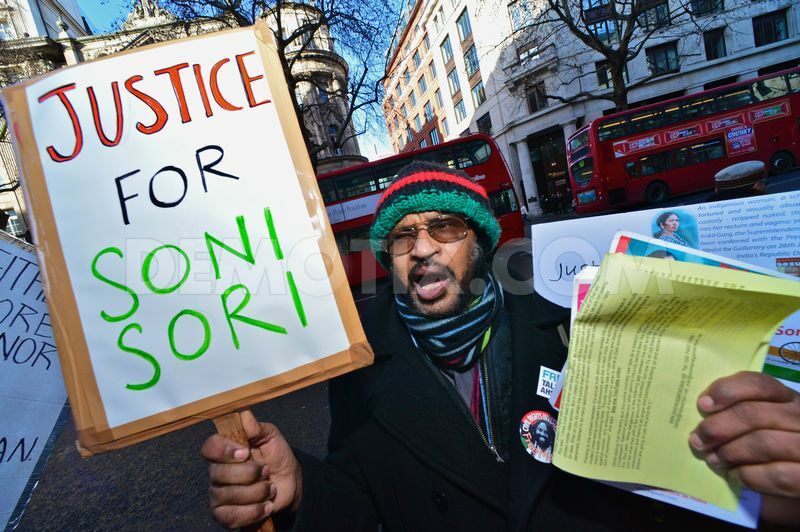 Release Soni Sori, Linga Kodopi Now! Criticizing the denial of interim bail to Soni Sori for performing the last rites for her husband Anil Putane who died last week, various organizations in Delhi issued a call for unconditional release of adivasi activists, Soni Sori and Lingaram Kodopi. “It is beyond belief that a judiciary could be so insensitive to deny even the basic humanitarian ground of bail for a few days to Soni Sori, to allow her to make arrangements for her three young children after the death of their father,” said Kalpana Mehta, convener of Women against Sexual Violence and State Repression.